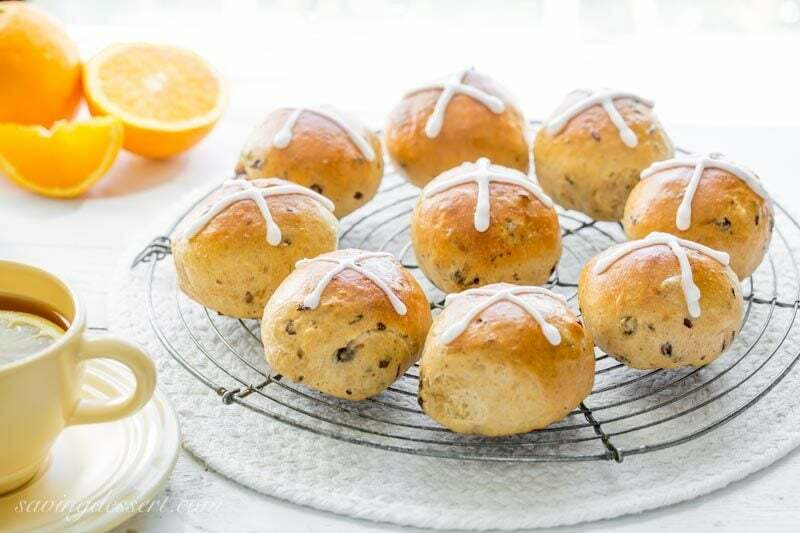 Hot Cross Buns – lightly sweet, orange scented yeast rolls with currants, raisins and plenty of warm spices. 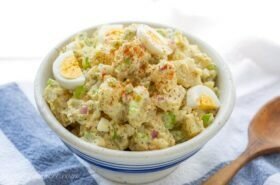 A delicious treat traditionally served during Lent and the Easter holidays. 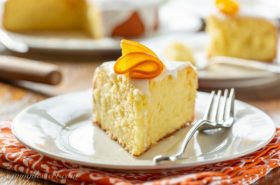 If you’re a long time SRFD reader, you may know my husband finds old recipes fascinating and often asks about the background, history or origin. He asked me why these are called Hot Cross Buns and if they have Christian heritage. I thought he was asking about the cross on the buns but what he really wanted to know is why they are called “Hot” Cross Buns. Are they a “hot” commodity meaning hard to find, get ’em while you can? Are they “hot” as in spicy? Or are they served “hot” from the oven? Inquiring minds! I tried very hard to find an answer but could not supply him with a definitive reference to how they were named. My answer is “they were hot when they came out of the oven” or at least that’s the story I’m sticking with. While researching recipes I came across the lyrics to the nursery rhyme dating back to 1798 London. In addition to this catchy nursery rhyme (which I vaguely remember from my childhood) I was able to confirm that in many Christian countries buns are traditionally eaten hot during Lent through Good Friday with the cross serving as a reminder and symbol of the Crucifixion. I love working with yeast and am very fond of this recipe. It’s easy and seems to be almost full-proof. By adding yeast to a warm milk and sugar mixture it will activate and “bloom” the yeast. Make sure the milk is not too hot as it will kill the yeast and prevent your dough from rising. An inexpensive instant-read thermometer is a great kitchen tool and perfect for this purpose. Brush on an egg wash before baking to give the buns a nice shiny exterior. Be sure the buns cool completely before icing. I opened the kitchen window to let the cool breeze speed up the process. I couldn’t wait to eat one as they smell heavenly. Pipe on a little simple icing and serve with a cup of hot tea and a little butter too! I love the orange zest and spice combination especially with the raisins. These buns are flavor packed, slightly sweet and an absolute treat. 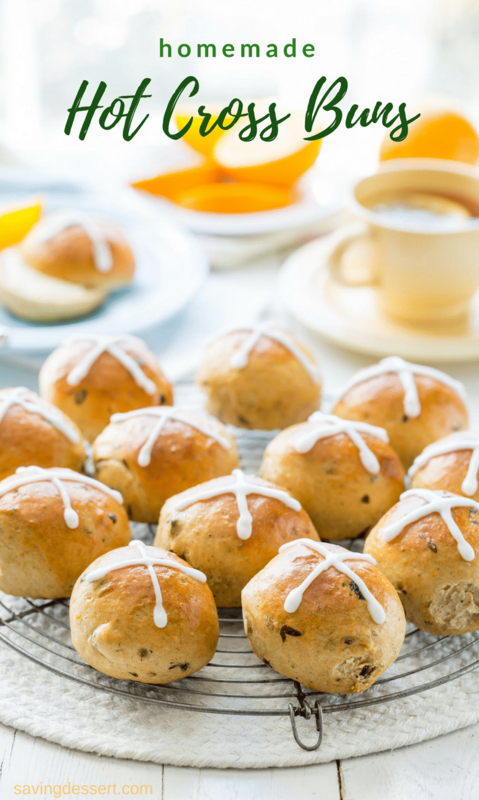 English folklore says that buns baked and served on Good Friday will not spoil or mold during the coming year. I don’t know about you but these never last that long in our house! I guess we’ll never know. Lightly sweet, orange scented yeast rolls with currants, raisins and plenty of warm spices. A traditional treat served during Lent and the Easter holidays. Line a large rimmed baking sheet with parchment paper. Set aside. Combine the raisins, currants, orange juice and orange zest in a microwave safe container. Heat for 30 seconds on high power, stir and heat for another 15 seconds. Set aside to cool. In a small bowl add 1/4 cup warm milk. (Make sure the milk is about 100-105 degrees using an instant read thermometer. If the milk is not warm enough the yeast will not bloom quickly. If the milk is too hot it will kill the yeast and not rise.) Add 1 teaspoon of granulated sugar to the warm milk and stir to dissolve. Sprinkle the yeast on top and stir lightly. Allow the milk and yeast to rest at room temperature until foamy, about 10 minutes. In the bowl of a stand mixer, whisk together 3 1/2 cups of the flour, 1/4 cup of sugar, salt, cinnamon, nutmeg and allspice. Create a well in the middle of the flour mixture and pour in the bloomed yeast. Add the butter, eggs, egg yolk and the remaining 1/2 cup of warm milk. Using the paddle attachment, mix the ought until well blended. The mixture will be sticky. Add the currants, raisins, orange zest and orange juice. Mix until blended. Switch the paddle attachment for a dough hook. Knead the dough on low speed while slowly adding the additional 1/4 to a maximum of 1/2 cup of flour, one tablespoon at a time as needed to make a cohesive dough. Knead well after each addition until the dough is slightly sticky but doesn't stick to your fingers. Whisk the egg white and 1 tablespoon of milk together in a small bowl. Brush each bun with the egg wash taking care to completely cover each one evenly. Bake in the preheated oven for 10-12 minutes or until lightly browned. Remove from the oven and allow the buns to cool on a wire rack before icing. Whisk together the powdered sugar and 1 teaspoon milk until smooth (add 1/4 tsp additional milk if needed for desired consistency.) You'll want a thick icing that will not run. 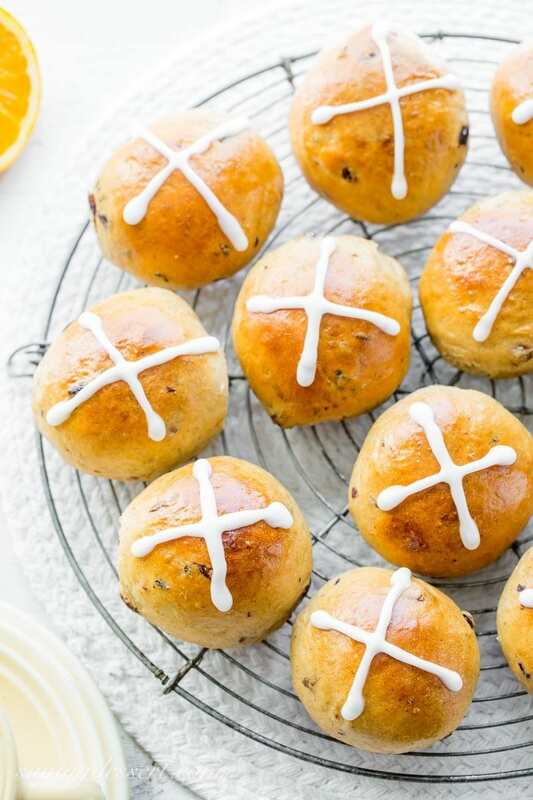 Pipe or spoon the icing on each bun to make a cross. Serve and enjoy! 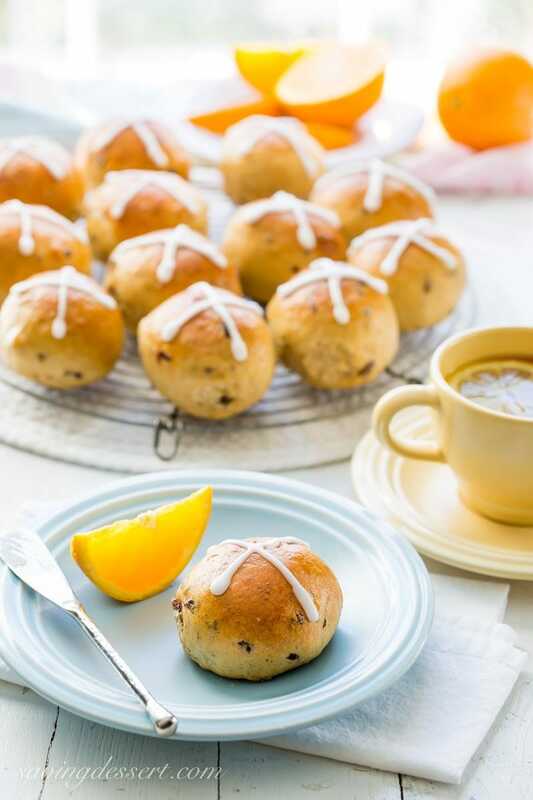 These Hot Cross Buns are always a big hit with our family! Put them on your annual rotation for holiday baking must try recipes. Making Hot Cross Buns is a lovely Easter tradition and sweet reminder of our Lord’s sacrifice on the Cross. I hope you have a wonderful week and thanks so much for stopping by! Can we add orange essence rather than the orange rind? If so how much would you suggest? These look delish but I don’t buy oranges. Hi Gerlinde – I wouldn’t worry too much about the orange rind if you don’t have it. If you’re using the orange juice that will probably be enough. If you have orange flavoring/essence or extract, I would use about 1/2 teaspoon. Good luck and thanks for the great question! 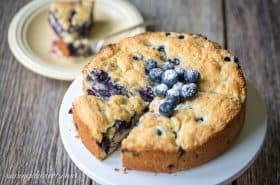 I loved these when you first published the recipe, and I still do! If you make your photos any more appealing, I will have to eat my computer screen. 😉 Gorgeous! What a dear lady you are Wendy – thanks for hanging around with me for so long. 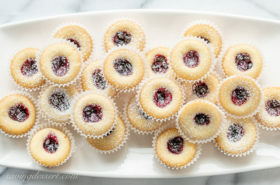 These are a delicious treat for sure – and my family probably wishes I had them more often. I remember that rhyme! 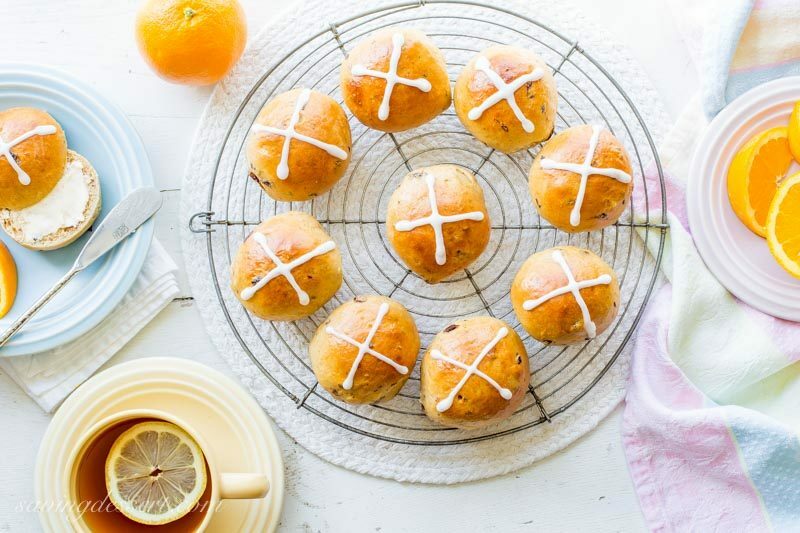 I can’t believe I’ve never made a Hot Cross Bun! Mostly likely due to my husband’s aversion to raisins 🙂 Yours look perfect! Maybe your husband would like raisins better if you soaked them in rum – or perhaps he doesn’t drink – haha – just saying! We love them warm but the icing stays put if added after they’ve cooled. But give me a little butter and a warm roll and I can skip the icing! Yes, I remember the rhyme and I think you’re right about the “hot.” I was just saying the other day that I can’t wait till I get a hot cross bun, love them! 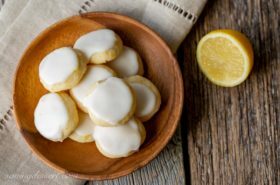 I haven’t considered making them though until I saw this recipe you posted. Sounds great and is a must try! Thanks, Tricia! Thanks Pam – hope you get the chance to give them a try! I love buns like this , they are such a treat and make the kitchen smell so good. Pinned! Me too – and yes they do Gerlinde! These really are beautiful. I think that they’re probably definitely hot when they come out of the oven!!! Agreed! And boy are they good just out of the oven! Love all the holiday spices and fresh orange juice in these soft sweet buns! So lovely! I come from a very protestant British background, so there were always Hot Cross Buns at Easter. The lore in my family was to always bake them on Good Friday and ice and eat them on Easter Sunday. Sounds like a great tradition Jennifer – my family loves these little buns. I’ll have to make them with the grandkids one of these days. I can almost smell the heavenly aroma by just looking at these gorgeous pictures. I love recipes with a history too and how food can evoke such strong memories and create wonderful traditions. Thanks Chris – these are very tasty indeed! I made these yesterday, and they're the best I ever tasted! Using a big mixer now, I had much less trouble getting all the ingredients blended and kneaded for the rising. Thank you for posting this as I'd pretty much given up on ever making them again. Happy Easter! Perfect for Easter! I wish my family would eat raisins/currants/dried fruir, but I bet they'd be delicious even without! Such pretty buns! I can imagine your kitchen smelled amazing! 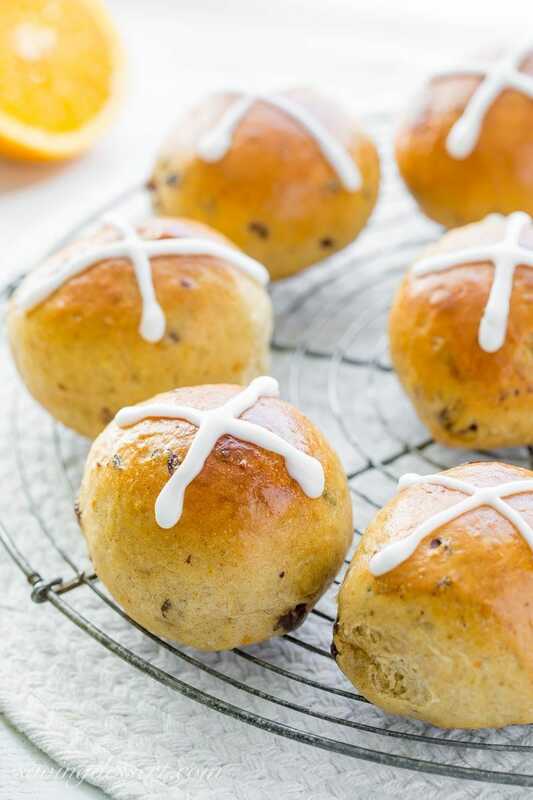 With a drizzle of icing instead of the cross or no icing at all, these would make great breakfast buns all year. Kind of like cinnamon bread in roll form. 🙂 Thanks! These are so much better than the recorder song I had to play in the third grade! I've heard of these, and of course I know the nursery rhyme, but I don't believe I ever tasted one—the orange and spices do sound fantastic! I can't read anything about Hot Cross Buns without hearing the song in my head. It was one of the first rhymes/songs I learned to play on the piano. I've never tasted them though. Maybe this will be the year. Yours look perfect! I think it is because they were hot. I remember that rhyme, too! I do know that the spices were a big thing because they came from so far away that I believe they were considered a luxury. In any case, these look lovely and sound delicious!